With a martial law (politically correct – Emergency) in effect throughout Pakistan and a judiciary sworn upon a military sanctioned PCO which incidentally suspend the Constitution of Pakistan, it is not surprising to have come across this quick judgment now the sixth and final petition remains to be dismissed on Thursday after which the Supreme Court will authorize the legality of the Musharraf as the President of Pakistan for another five more years. God Bless Pakistan… and please hurry! A Petition was field today in the Supreme Court by Mr. Wajihuddin Ahmed asking the sitting judges to halt the constitutional petition challenging the validity of the election of the President General Pervaiz Mushrraf for the second term in office. That the present Constitution Petition is pending before the Supreme Court. It was being argued before an eleven members Bench of the Honourable Supreme Court on 2.11.2007 when the hearing was adjourned to 5.11.2007. I was recently interview by Ghazala Khan at The Pakistani Spectator – here is the published version as found on their website – I thank her and the entire Pakistani Spectator team for all the kind words they have repeatedly mentioned about me. Teeth Maestro is one of the beaconhouses of Pakistani blogosphere. He is a dentist by profession, but geeker than any geek when it comes to information technology. He has been actively blogging since July 2004 first on blogspot, but now has got his own WWW home at Teeth Maestro. 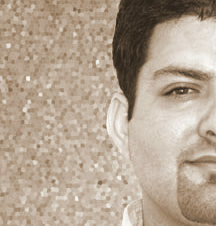 He has been instrumental in making the Pakistani blogging horizon dynamic. Along with the people’s teeth and blogging, he also manages some other cool ventures.